As part of our Sustainability work this year, the SBIA will be developing a comprehensive advocacy plan for transportation in our district that integrates all transportation modes with business interests and relevant municipal and regional plans. We have received a grant for $20,000 from the Real Estate Foundation of BC to assist in this project. 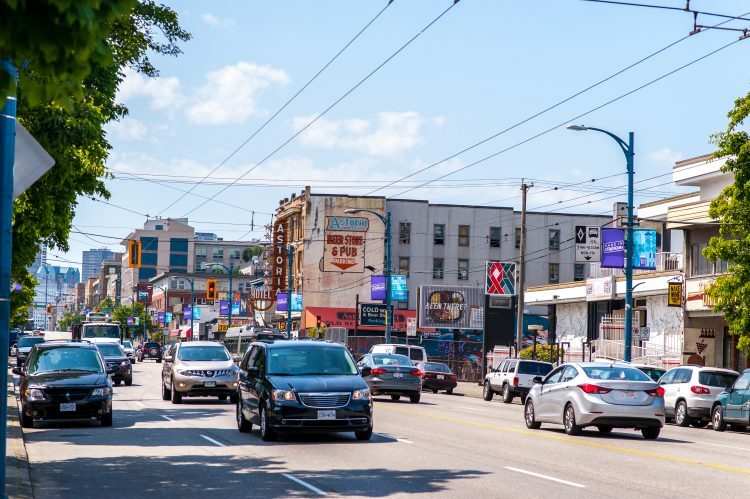 In order to achieve a fine-grain understanding of the key transportation issues, challenges, opportunities and solutions in our mixed-use neighbourhood, the SBIA has opted for a community-engagement and research-driven planning approach for this task. We will work with SBIA members and community stakeholders and execute an in-depth engagement process on key transportation issues. Subsequently we will develop a Transportation Advocacy Plan focusing on Sustainability (TAPS). Developing our own community-supported positions on issues will be a key advocacy strategy to increase access to funding sources, leverage major capital investments coming to our neighbourhood, and to help accelerate implementation of transportation improvements that our community and members want. The work will be guided by an Advisory Committee of local transportation partners, who will help ensure the final plan is practical, feasible, and useful as an advocacy tool. Ultimately the TAPS should help us achieve the vision for the SBIA as a place that has equitable access to parking and curbside-use, is considered viable for goods movement, has safe, convenient and vibrant walking infrastructure, and expanded and safe cycling facilities and connections. The anticipated timeline for our engagement process is July 2017 – October 2017. We look forward to hearing from you on transportation issues!